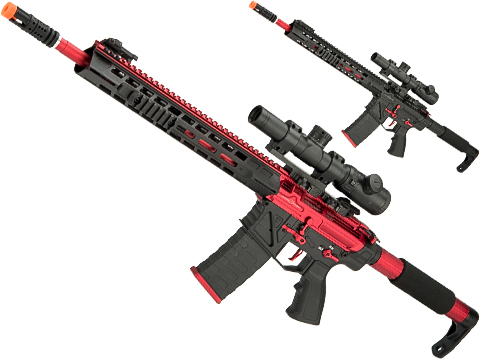 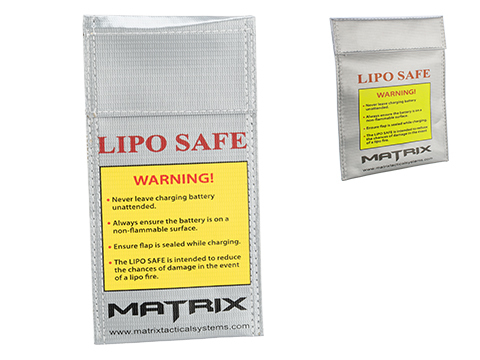 This is an express-restricted item and can only be shipped via ground shipping methods. 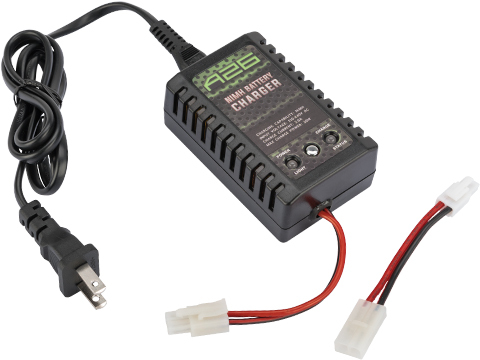 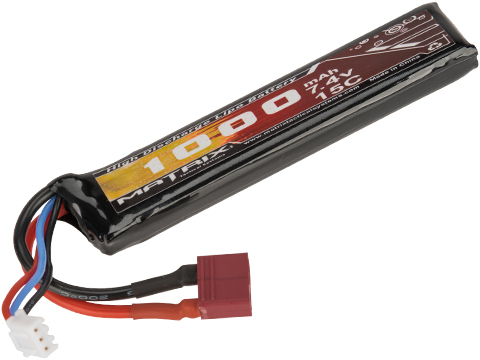 GROUND SHIPPING ONLY NOTICE: Due to US DOT and IATA shipping regulations, batteries shipping Air must have a charge of less than 30%. 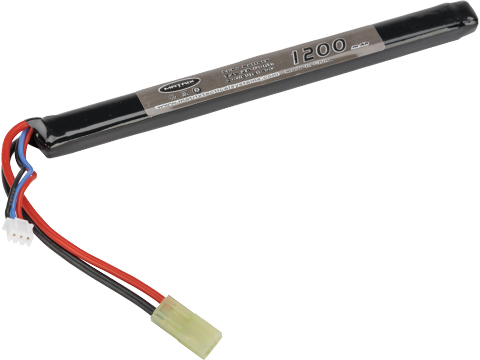 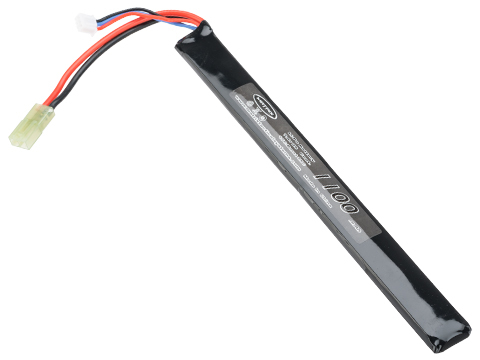 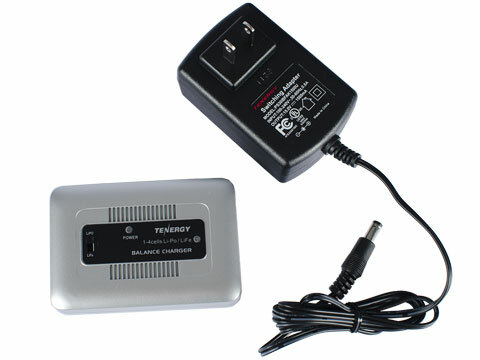 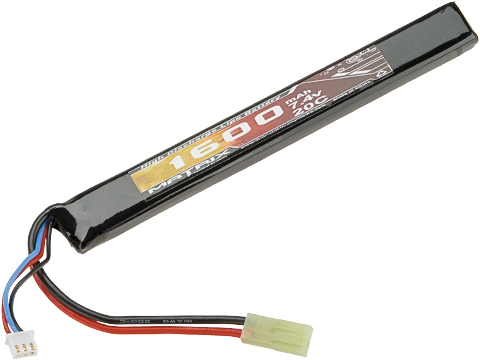 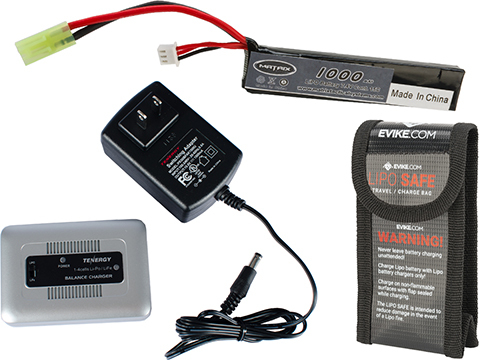 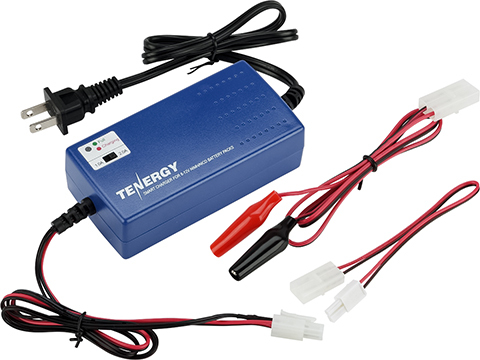 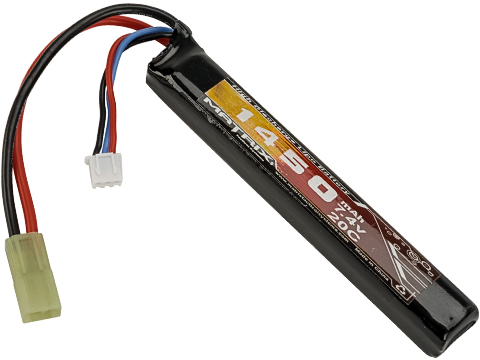 A lithium polymer battery in this state of charge for long periods of time will become damaged. 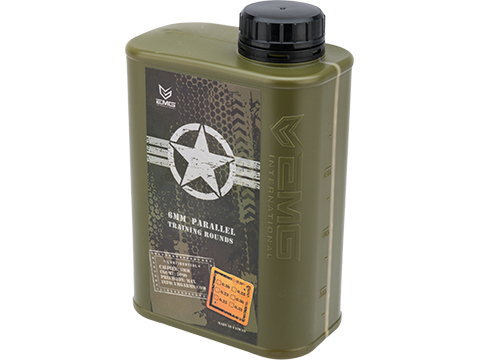 For this reason, Evike.com will not be shipping batteries via Air shipping methods. 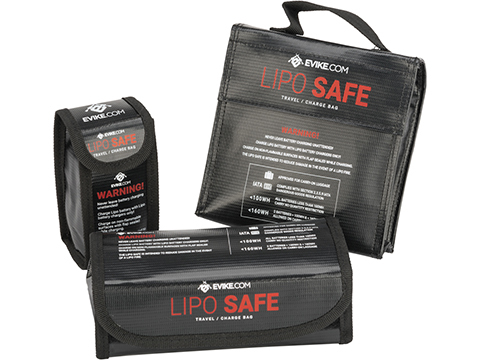 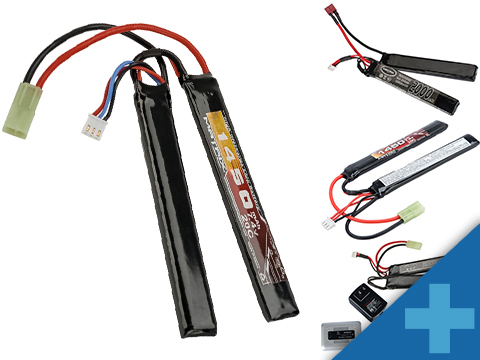 This includes all international destinations outside the continental U.S. You will only be presented with ground based shipping options if your order contains a lithium battery. 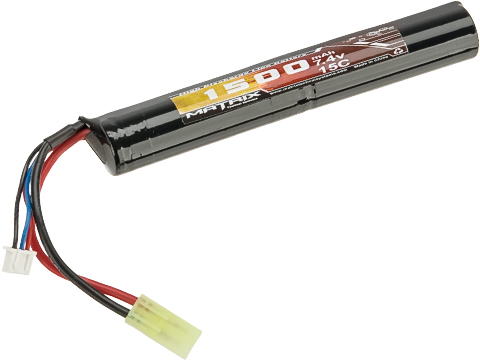 "Great battery. 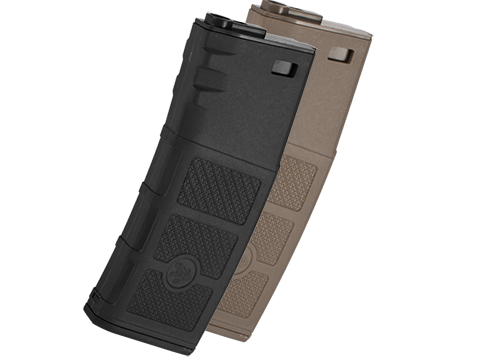 Fits nicely into my AK74U's upper receiver. 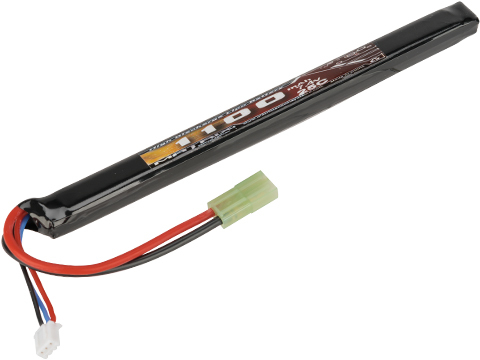 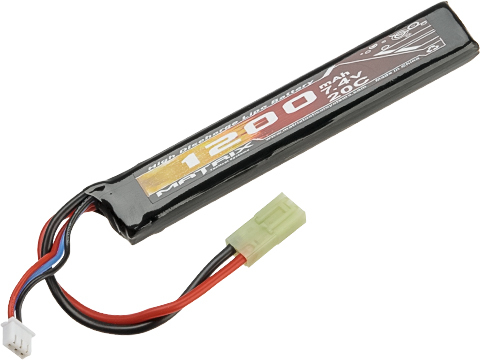 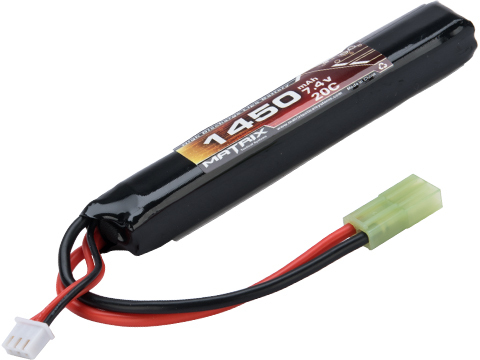 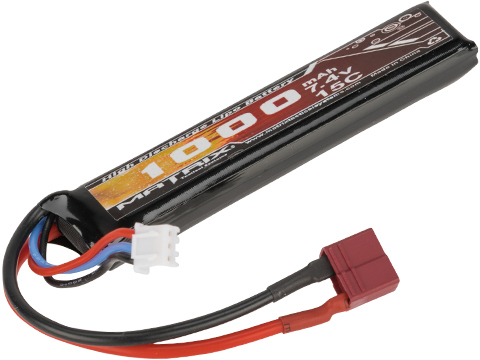 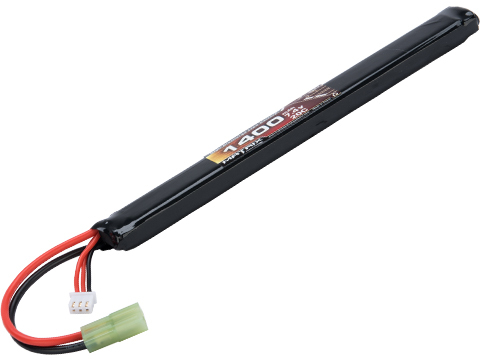 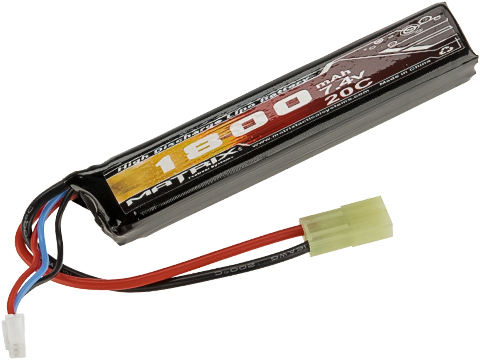 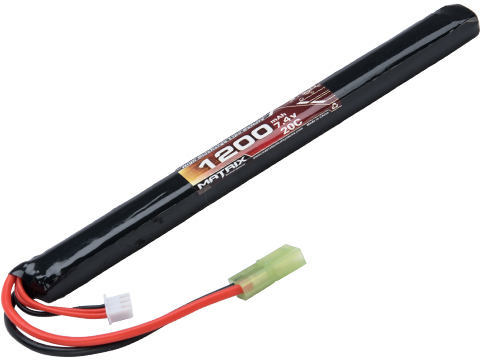 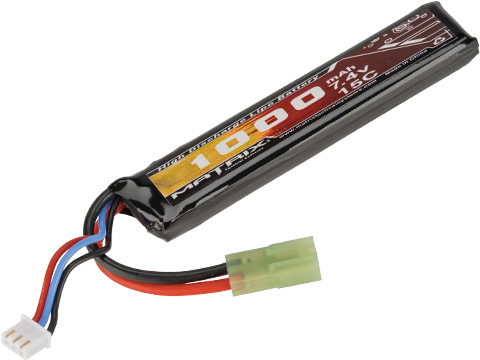 Discuss about Matrix High Performance 7.4V Stick Type Airsoft LiPo Battery (Configuration: 1100mAh / 25C / Small Tamiya) with your friends and fellow Evike.com shoppers!